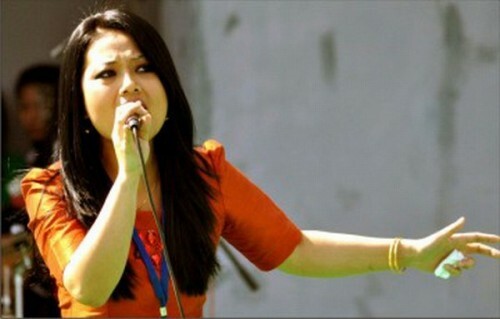 Guwahati, Apr 8 : Popular Mizoram singer Mami Varte on Saturday said the Mizo music industry is still lagging behind and young talents are fighting to uphold the state's culture. While receiving the FILadies' Organisation (FLO) Award here, she called for more efforts to popularize Mizo music internationally. Every year, the FLO, northeast chapter, honours northeast women who have reached a distinguished level of success in their profession. This year, the FLO awards were given to three women from NE. Besides Varte, the two other recipients were Assamsese actress Arati Baruah and singer Archana Mahanta. Speaking at the awards function, Varte said there are a lot of talented singers in Mizoram but they haven't been able to utilize their talent due to lack of proper platform. She urged the government to take up steps to promote the singers and the industry. Gradually, the interest of the youth towards learning music is increasing, but there is a need for a proper platform to showcase their talents at the national as well as international level, she added. "The people of Mizoram have a craving for pop music, rock, jazz and hard metal songs for which the folk songs of Mizoram are losing their significance. But now we are trying to revive the folk music by giving it a modern touch. Every song has influence of folk music. Folk music is something where the root of music exists and it reflects our culture. So, we should not forget our culture," she added. Speaking on the folk music of Assam, Archana Mahanta said the interest of people towards folk music is increasing. Many new singers have come up and they are also working to promote folk music, she added.